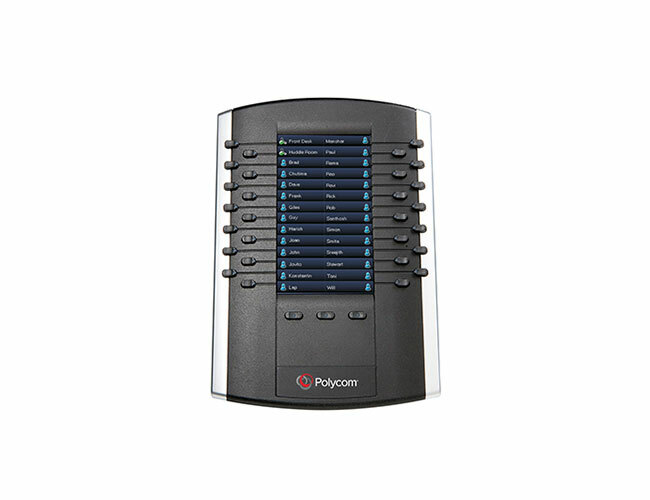 Polycom Voice Desktop Solutions deliver rich, high-definition voice to businesses of any size, keeping you connected and productive. Telephones are so high-fidelity it sounds like you are in the same room as the person you’re talking to! 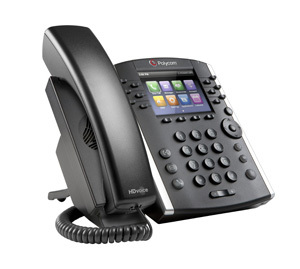 Powerful 6-line entry-level Business Media Phones for today's fast-paced workers that handle a low to moderate volume of calls and need crystal clear communications. 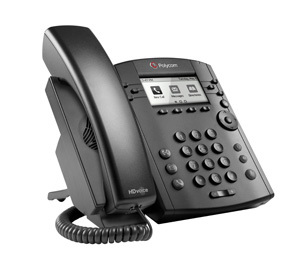 Color 12-line mid-range Business Media phones improve productivity for office staff via an intuitive larger, color display and easy to use line appearances. An optimal solution for telephone attendants and other "power users" who manage multiple simultaneous telephone calls. This sidecar fits both the 310 and 410 models above.